It’s feijoa season Downunder – whoop! I concocted this delicious smoothie recipe last year and it’s been a firm favourite ever since (including post feijoa season: I have a secret stash in the freezer). If you are a fellow LSA fan (linseed, sunflower, almond) don’t be afraid to put this in the smoothie too, it transforms it into something super-special. 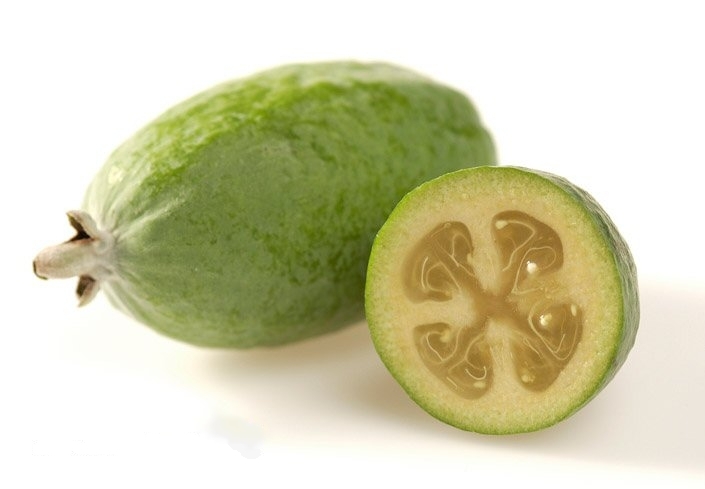 If you aren’t from around here (my blog stats tell me lots of you aren’t) and you are wondering ‘what the heck is a feijoa? ?’ Then let me enlighten you. Feijoa is an autumn fruit that’s shaped and sized like a chicken egg shaped that grows, mostly, in parts of South America as well as here in New Zealand. Feijoas have a sweet, aromatic flavour with juicy flesh in inside and have a very distinctive smell (like bubblegum, I reckon). Feijoas are especially delicious in smoothies (I always add it to mine) desserts, including a soul norushing winter crumble. I’ve also had success making feijoa jams and chutneys. Oh – who can forget putting them in your muesli, or using them instead of apples in a spiced apple cake? The options are endless. 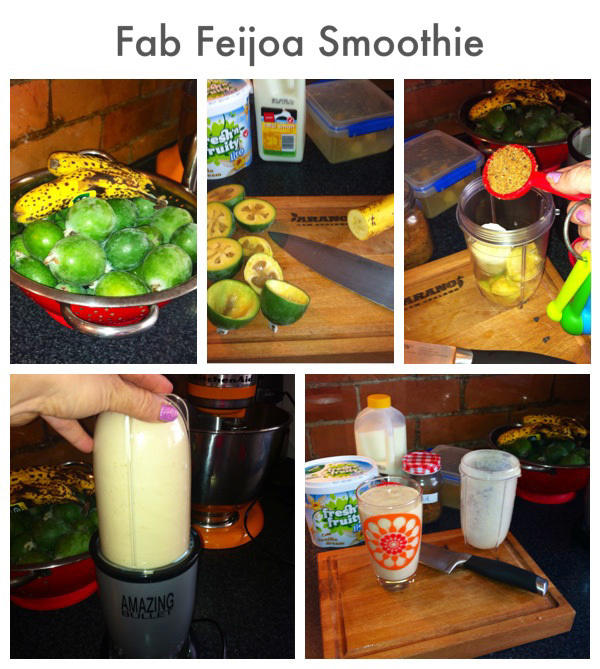 If you want to make this smoothie, but you can’t get hold of feijoas where you are: Use golden kiwifruit instead: These are a decent substitute. Place all the ingredients in a blender (or food processer, or use a hand blender – I used my Magic Bullet). Blitz till smooth. *The LSA is optional, however this adds texture as well as a slightly nutty flavour. It also adds a healthy punch (fibre rich, omega 3 and B-vitamins). LSA also has fabulous health benefits, aiding digestion and, ummmm, regularity (get it?). 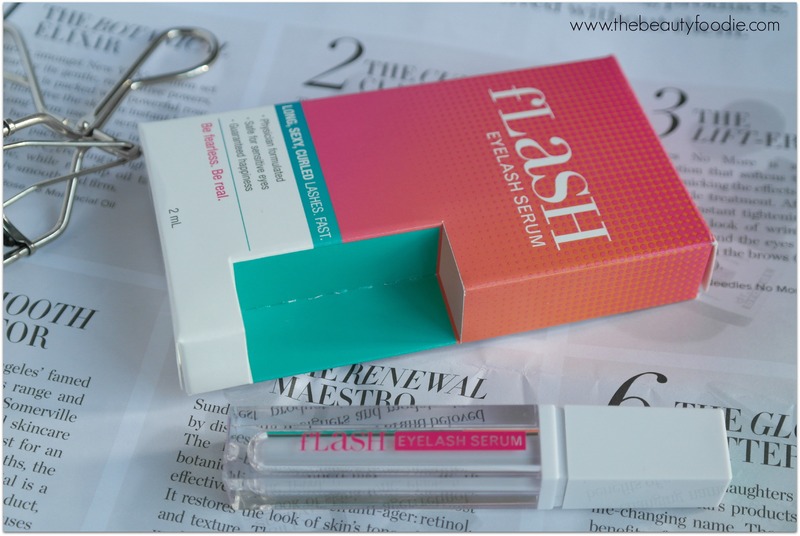 It’s also great for dry skin and hair. I totally recommend making your own LSA, or buying some to have on hand, it’s a versatile and delicious ingredient. I put it in smoothies, sprinkle it on my muesli, yogurt and bake with it. Hot husband, who isn’t particularly known for his love of healthy food, lets me know when we’ve run out! Check out my LSA recipe here.